Tony Spilotro is best known as a mob representative in Las Vegas from the 1970s to the '80s. He was brutally beaten and murdered by mob members in 1986. Tony Spilotro was born on May 19, 1938, in Chicago, Illinois. His parents ran a restaurant that became a hangout for local mobsters. In his early 20s, Spilotro became a "made" man in 1963 and would be sent to act as the mob representative in Las Vegas by the early 1970s, later forming his own faction, the Hole in the Wall Gang. His continued involvement in criminal activity would lead to Spilotro being blacklisted from casinos, making it difficult to enforce his position. Having angered his bosses and other associates with his actions in the Las Vegas underworld, Spilotro and his brother were brutally beaten and murdered by mob associates on June 23, 1986. Spilotro leaves behind his wife Nancy whom he married in 1960. The couple have an adopted son named Vincent. By 1962, Spilotro had befriended several influential members of the Chicago underworld, including Vincent "the Saint" Inserro, Joseph "Joey the Clown" Lombardo and mob boss Joseph "Joey Doves" Aiuppa. Spilotro joined Sam "Mad Sam" DeStefano&apos;s crew that same year. DeStefano was considered too unpredictable and undisciplined to ever be considered for real leadership, but his violent and sadistic nature was highly sought after by his bosses as a way to spread fear and terror. Even law enforcement was leery of him. Through DeStefano&apos;s guidance, Spilotro finally earned a contract to murder Billy McCarthy and Jimmy Miraglia, two 24-year-old burglars known as the M&M Boys. 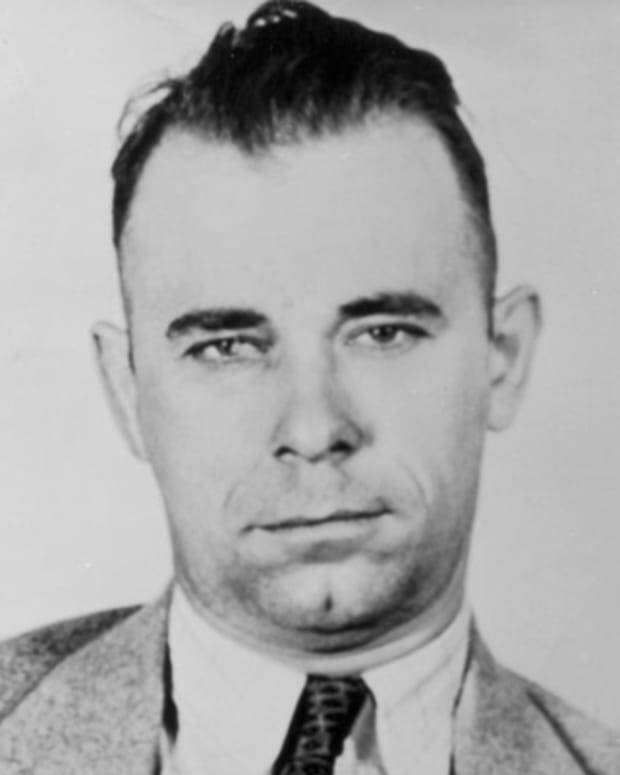 The victims had killed two thieves in Elmwood Park, a neighborhood where many crime bosses lived and thus considered “off-limits” by the Chicago Mob, who were known as The Outfit. Wanting to send a message about this violation of their space, Spilotro tortured the men before killing them. 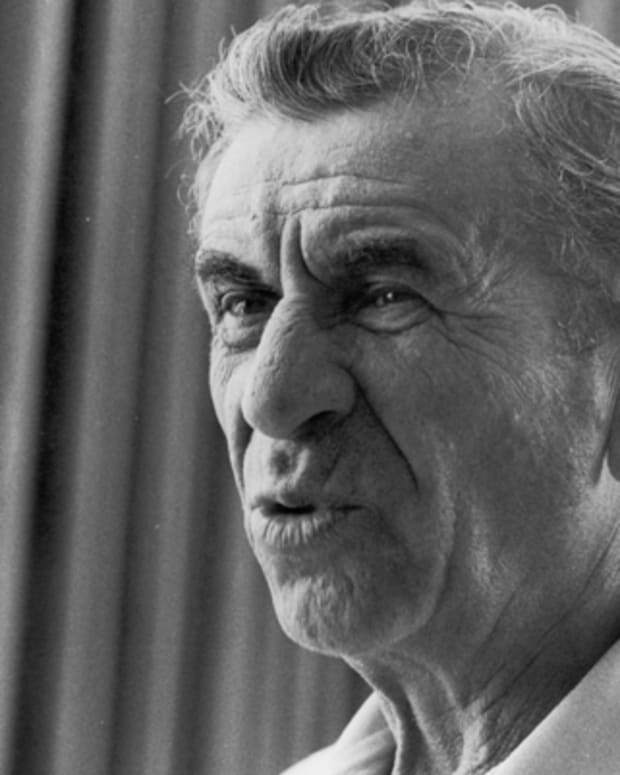 In an infamous interrogation technique to get McCarthy to reveal the whereabouts of Miraglia, Spilotro and his thugs stuck McCarthy&apos;s head in a vice until the victim&apos;s eye popped out. Their maggot-covered corpses with throats slit were found by authorities in the trunk of a car on Chicago&apos;s South side later that year and the case was dubbed "The M&M Murders." The vicious killings won Spilotro a reputation with area mobsters and earned him the status of "made" in 1963. His new title also scored him a job controlling bookmaking territory on the northwest side of Chicago. But Spilotro&apos;s standing also caught the attention of local law enforcement as well as the media, who began referring to Spilotro as "The Ant," in reference to his 5&apos; 2" stature. And both he and DeStefano were considered suspects in the M&M Murders and other murders that began to pile up. Spilotro became a marked man, and federal law enforcement worked hard to put him behind bars. In November of 1963, the FBI managed to turn Charles "Chuckie" Grimaldi, a former member of DeStefano&apos;s crew, into a federal witness. 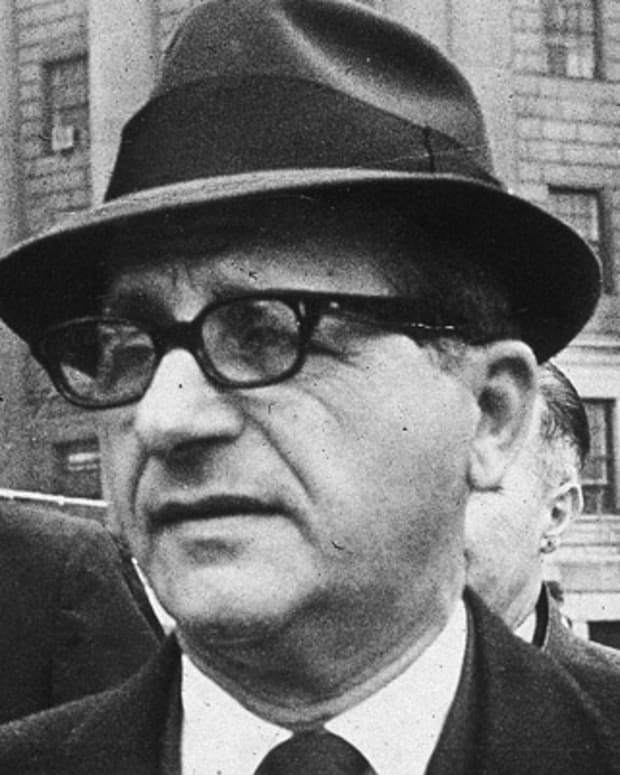 Grimaldi testified against Spilotro and DeStefano during the murder trial of Leo Foreman, a loan collector who had made the mistake of throwing DeStefano out of his office in May of that year. Foreman was lured to the home of DeStefano&apos;s brother Mario, ostensibly to play cards and see a newly constructed bomb shelter. Once there, Spilotro and Grimaldi dragged their victim into the cellar, where Sam DeStefano beat Foreman with a hammer and then repeatedly stabbed him with an ice pick. He was then shot in the head and left in the trunk of an abandoned car. Despite overwhelming evidence, both Spilotro and DeStefano were acquitted. In 1967, in a crackdown on illegal gambling, the IRS agents raided Spilotro’s home and learned he’d been running a gambling operation out of his house. He was fined but served no time. In 1969, the police department’s vice suspected Spilotro was running a bookmaking racket in an abandoned basement and set out to raid it. Spilotro and his associates stalled the police at the door while they ate the paper bets in an attempt to destroy the evidence. But he was busted when more evidence was found in his office. Once more, he was fined, but didn’t serve any time. But with the heat on, Spilotro decided it was time to leave town. But Spilotro&apos;s brush with the law didn&apos;t keep him from conducting business as usual. Throughout the 1960s, a series of murders occurred in which the mobster was believed to have participated, but no charges were ever officially made. 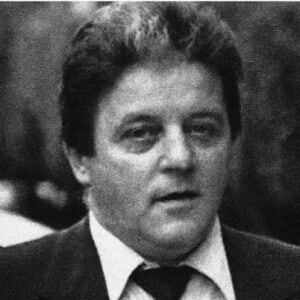 Spilotro continued to gain fame throughout the syndicate as both an earner and enforcer, and, by 1971, Spilotro was tapped by Aiuppa to replace Marshall Caifano as the mob&apos;s representative in Las Vegas, Nevada. In his new role, Spilotro worked on the Chicago bosses&apos; scheme to embezzle profits from area casinos. 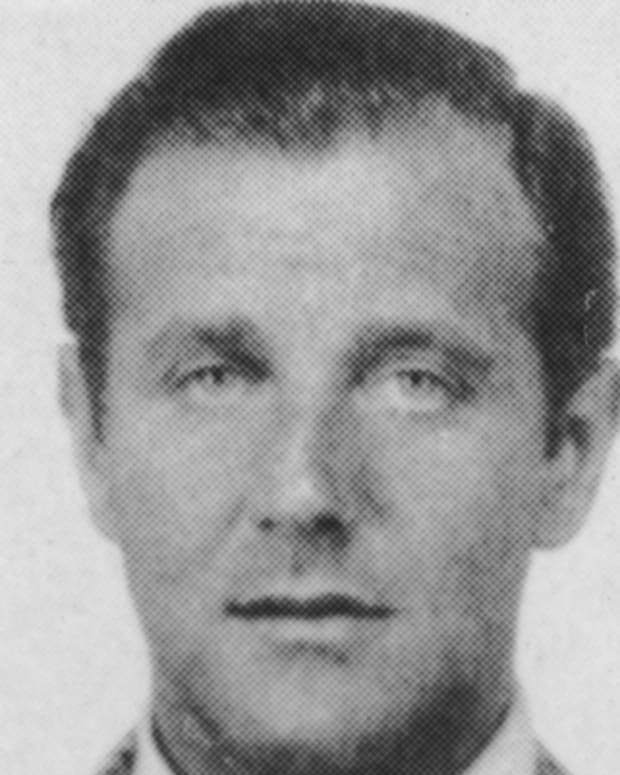 Using a frontman as the casino&apos;s owner, the mob then placed a new mobster in the casino court rooms: Frank "Lefty" Rosenthal — a mobster who could never be a "made" man, according to mob rules, because he was of Swedish descent (he was adopted by a Jewish family), not of full Southern Italian descent. Rosenthal&apos;s job was to access the rooms and remove as much cash as possible (called the "skim") before it was recorded as revenue. He excelled at this work. 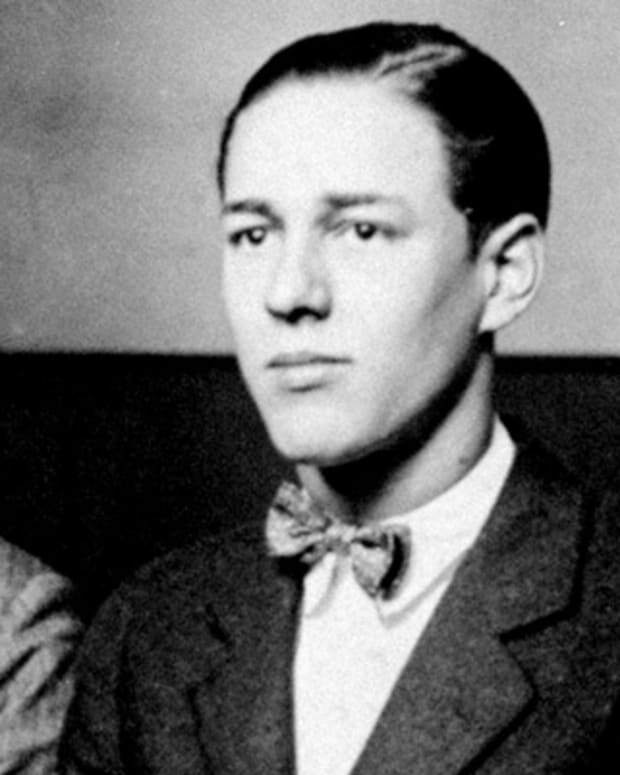 The money was then sent back to the Chicago Outfit (also known as the Chicago Syndicate, or simply as the "Outfit") and several other mafia families. To protect the skim assets, Spilotro was hired to keep a watchful eye on Rosenthal and the other members of the Outfit. Once in Las Vegas, Spilotro — under the alias Tony Stuart — took over the Circus Circus hotel gift shop as well as control of the Vegas underworld. Spilotro&apos;s first move was to require all criminals to pay a street tax to continue doing business. If they didn&apos;t pay, they were threatened with death. Indeed, homicides in Las Vegas increased after Spilotro&apos;s arrival. Spilotro&apos;s next move came in 1976, when he opened his jewelry and electronics store, The Gold Rush, in partnership with his brother, Michael, and one of his lieutenant&apos;s, Chicago bookmaker Herbert "Fat Herbie" Blitzstein. The Gold Rush sold both stolen and legitimate goods. Spilotro had to be careful when it came to what was sold in the store. He avoided selling items that were stolen in Las Vegas lest the rightful owner came into the store and saw them. He also correctly suspected that the FBI had bugged the store and so he needed to be careful when speaking on the phone. The Gold Rush, located one block off the Vegas strip, became home to Spilotro&apos;s team of burglars, who would break into hotel rooms, wealthy homes and high-end stores and steal their goods. The group then fenced the items they stole. The crew was successful and used whatever means necessary to get the goods they wanted. If they couldn&apos;t find an easy way in to their target building or stores, they&apos;d drill a hole in the wall or roof. Because of this, they gave themselves the nickname the Hole in the Wall Gang. In 1979 the FBI arrested one of Spilotro’s associates, Sherwin “Jerry” Lisner, for larceny. 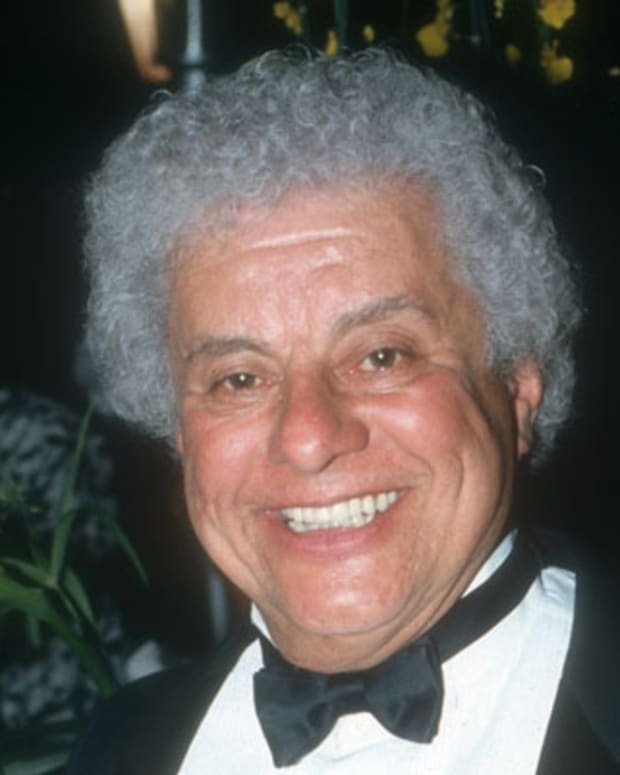 Lisner wanted to cut a deal and word got back to Spilotro that Lisner planned to testify before a federal grand jury. Spilotro hatched a plan to eliminate Lisner and plotted with mob enforcer Frank Cullotta to kill him, which Cullotta did, believing the action had been given the green light from the bosses back in Chicago. By December of that year, the police turned up the heat and the Nevada Gaming Commission officially blacklisted Spilotro. The ruling legally barred Spilotro from entering any of the state&apos;s casinos, the very ones it was his job to oversee. By the end of 1970s, Spilotro had become a loose cannon, running a loan-sharking operation out of a casino, fencing stolen jewelry, and ordering the murder of Lisner which was not authorized by the Outfit. He had also become entangled with Rosenthal&apos;s wife, Geri, and the two were having a less-than-secret affair, an egregious offense in mob culture that could result in a hit against the offender. News of his affair with Rosenthal&apos;s wife made it back to the bosses in Chicago. None of this prevented Spilotro from continuing to conduct his business, however. The Hole in the Wall Gang now included Las Vegas Metropolitan Police Officer Joe Blasko and mob members Frank Cullotta, Leo Guardino, Ernest Davino, Sal Romano, Lawrence Neumann, Wayne Matecki, Samuel Cusumano and Joseph Cusumano. The mob, however, was not pleased with the amount of attention that Spilotro was drawing to himself. The casino blacklisting and the affair with Geri Rosenthal created unwanted headaches for the Outfit. In the minds of the mob bosses, Spilotro had two strikes against him. His third would come soon enough. On the night of July 4, 1981, the Hole in the Wall Gang had planned a big robbery of Bertha&apos;s Gifts & Home Furnishings, which they believed would garner at least $1 million in profits. But once they had penetrated the roof, police surrounded the store and arrested Cullotta, Blasko, Guardino, Davino, Neumann and Matecki. They were each charged with burglary, conspiracy to commit burglary, attempted grand larceny and possession of burglary tools. Spilotro was nowhere to be found, but two weeks later he was tracked down and arrested. The botched robbery was due to the defection of the alarm-system specialist in the group, Sal Romano. He had turned informant after authorities had pegged him for another crime and thus told the police about the planned heist. Frank Cullotta also turned state&apos;s witness after he discovered Spilotro had put out a contract on his life. Cullotta&apos;s testimony, however, proved to be insufficient evidence when prosecutors were unable to link Spilotro to the crime: it was Cullotta&apos;s word against Spilotro. Spilotro was acquitted. But he was shortly indicted again, this time with his Chicago associates for the casino skimming racket. By this time, the Chicago Syndicate bosses were not pleased. In their opinions, Spilotro had made a public spectacle of himself in Vegas and in doing so had exposed their rackets and cost them millions. They decided Spilotro had to go. 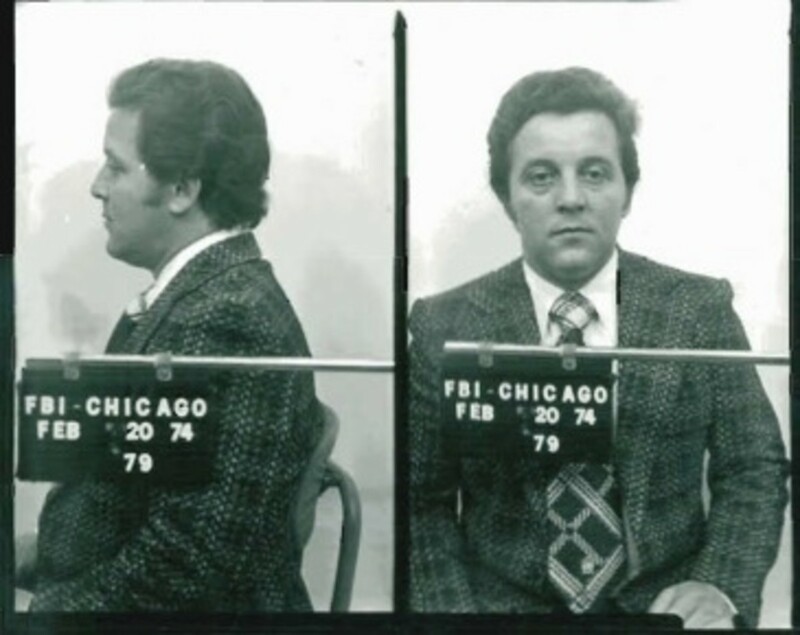 As later testimony indicated, the Spilotro brothers were called into a meeting in Chicago with the understanding that Michael Spilotro would become a made man. 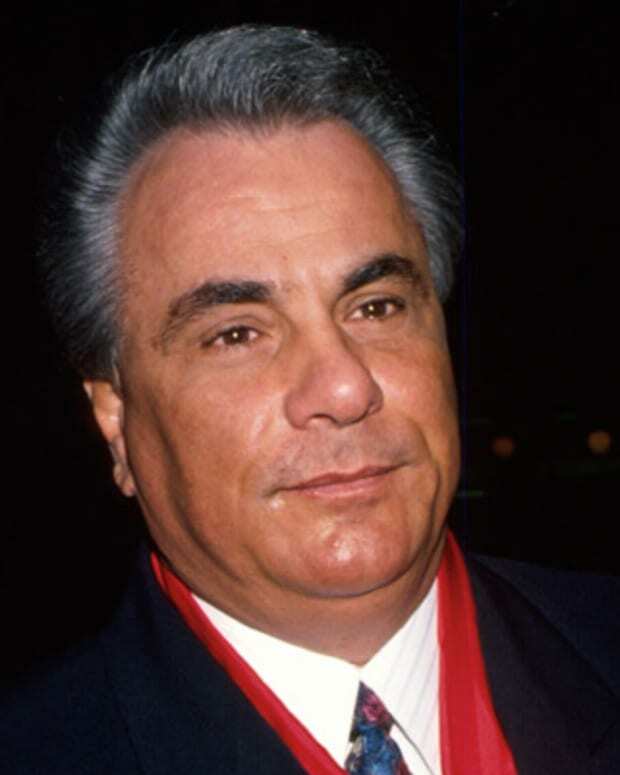 Instead, on June 14, 1986, in a hit involving nearly a dozen other mobsters, the brothers were beaten and asphyxiated before being buried in a cornfield in Enos, Indiana. The location of their remains was discovered by a farmer not far from a farm formerly owned by Joseph Aiuppa. In 1995, almost a decade after Spilotro&apos;s death, the film Casino, directed by Martin Scorsese and starring Robert De Niro and Sharon Stone, was released to eager audiences. The character Nicky Santoro, played by actor Joe Pesci, was based on Spilotro. In 2007, during the government&apos;s Operation Family Secrets investigation aimed at clearing up unsolved gangland killings, several men confessed to the Spilotro killings. Albert Tocco and Nicholas Calabrese pleaded guilty to taking part in a conspiracy that included hits on Anthony and Michael. On September 27, 2007, James Marcello was found guilty by a federal jury of the murders of both Spilotro brothers. On February 5, 2009, he was sentenced to life in prison. Spilotro, who was replaced in Vegas by mobster Donald "The Wizard of Odds" Angelini, was survived by his wife Nancy and son Vincent. “Lefty” Rosenthal was nearly killed when his car exploded in 1982. No one was ever arrested for the incident. That same year, his then ex-wife, Geri was found dead of an apparent drug overdose in Los Angeles. John Fecarotta, a mobster who had been involved with the Spilotro murders was killed in 1987 for bungling the burials of the brothers, which led to the bodies being discovered. Born Anthony John Spilotro on May 19, 1938, in a tough neighborhood in Chicago, Illinois, Tony Spilotro was one of six children, all boys: Vincent, Victor, Patrick, Johnny, and Michael. 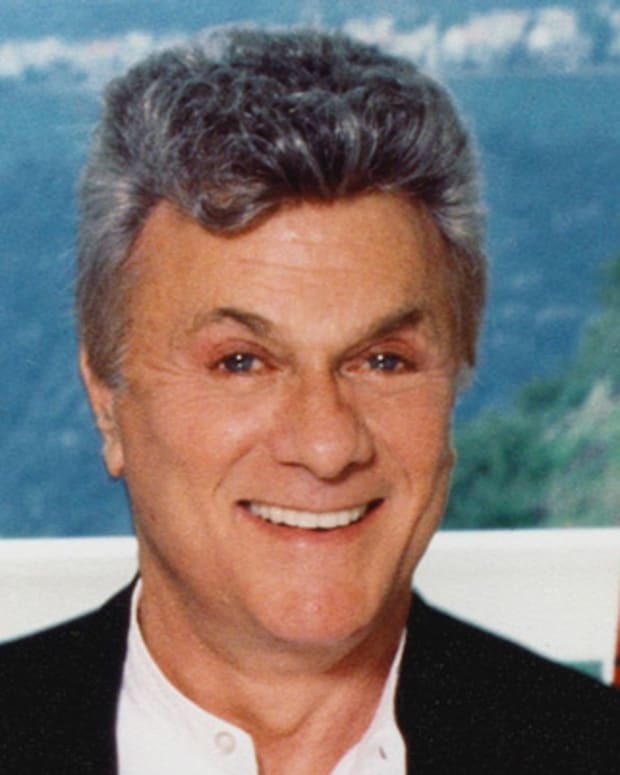 His parents, Pasquale and Antoinette Spilotro, were Italian immigrants who ran an eatery, Patsy&apos;s Restaurant. It was through his family&apos;s business that young Anthony first became acquainted with organized crime; Patsy&apos;s was a regular mobster hangout, and meetings between "made" men were frequently held in the restaurant&apos;s parking lot. Spilotro and his brothers often engaged in criminal activities together, including shoplifting and purse-snatching. Spilotro became a neighborhood bully with a reputation for fighting at an early age. In 1954, his father died suddenly leaving his mother to raise their six sons. That same year, he dropped out of Steinmetz High School when he was a sophomore and spent most of his time engaging in petty crime. At the age of 16, he earned his first arrest for attempting to steal a shirt. He was fined and placed on probation. The arrest did nothing to curb Spilotro&apos;s ever increasing criminal activities, and by his early 20s he had been arrested multiple times. But small-time activity was no longer enough for Spilotro, and he soon had his eye on Chicago&apos;s biggest crime family. He also had eyes for Nancy Stuart, a petit local waitress who worked in a local mob hangout, and married her in 1960.